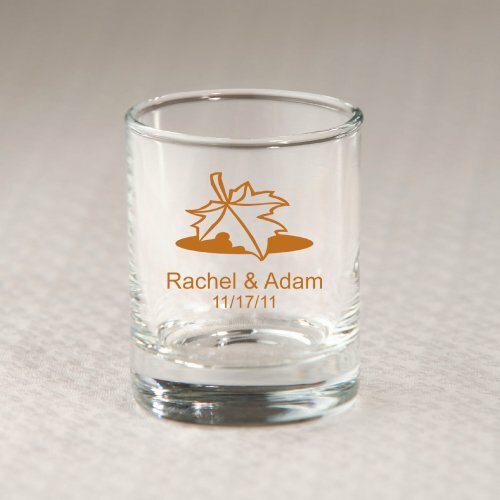 Shown here with our fall leaf design, these glass holders can be used to hold votive candles or as shot glasses. 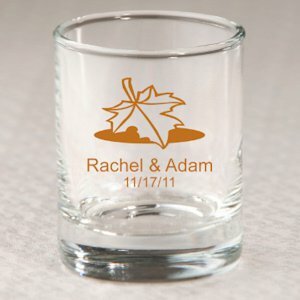 We have over 50 lovely wedding designs to choose from and we add your names and wedding date to achieve a one-of-a-kind design just for you. Gift boxes for these glasses are available during the checkout process, for an additional fee.